Oh boy…. Them’s were fightin’ words! 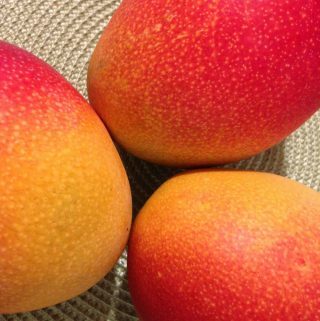 I was just leaving Costco – minding my own mango business. As it was, I had two tubs of FAGE Greek yogurt and a case of Kent mangoes in my cart (plus a few other things.) The Costco guy was standing there checking my receipt against the contents of my basket (like someone always does at Costco) and bam! He hit me! Okay, so perhaps not literally, but it was a blow nevertheless! The guy looks at my tubs of FAGE yogurt *which were right next to the blasted mangoes* and says that I need to get some fruit with that yogurt. Say what???? I immediately pointed out and defended my innocent, beautiful fruit. “Mangoes, I’ve got mangoes!” I said. He looked at me trying to be friendly (but not succeeding, not even one bit) and said he meant something “sweet.” I’m sorry, but what kind of dumb*ss comment was that? My feeling is, if you don’t know about mangoes, then don’t go around talking dirty about them. It’s like Momma always said…if ya can’t say ‘nothin nice…It’s a good thing I really love Costco or…..I just mighta had ta pick a fight! Seriously, though. This *IS * the problem. 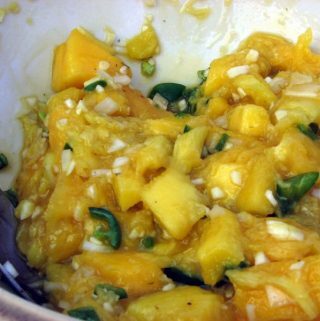 A lot of people just don’t know about mangoes.